I have read & understand the Item Redemption Info. I understand there are no returns on this product. 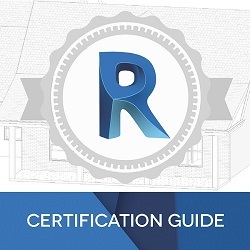 This certification guide will take you step by step through each objective tested on the official ACP exam for Revit Architecture. Every objective is supported with concepts, facts, and hands-on exercises that teach everything you need to know to pass the official exam. Written by the authors of the official exam, increase your chances to pass the ACP or ACU exam, by practicing with this exam simulation! The practice exam included with this guide will test your readiness to take the real ACP exam at a Certiport Authorized Testing Center. You will be tested on the official exam objectives with questions that are designed to simulate the real questions you will experience on the official exam. This bundled certification guide and practice exam, provides real-world exercises to guide you on questions you may have missed, so you can study them and take the test again. Summit's exclusive Learning Browser technology, delivers this course content inside of Revit. Please Note: This item is purchased as an Online Accessible product. After ordering and academic verification, you will receive a unique Voucher Code along with full instructions for redeeming your voucher code and accessing the product. Architects and designers can create their work with precision with the built in rulers on the sides.